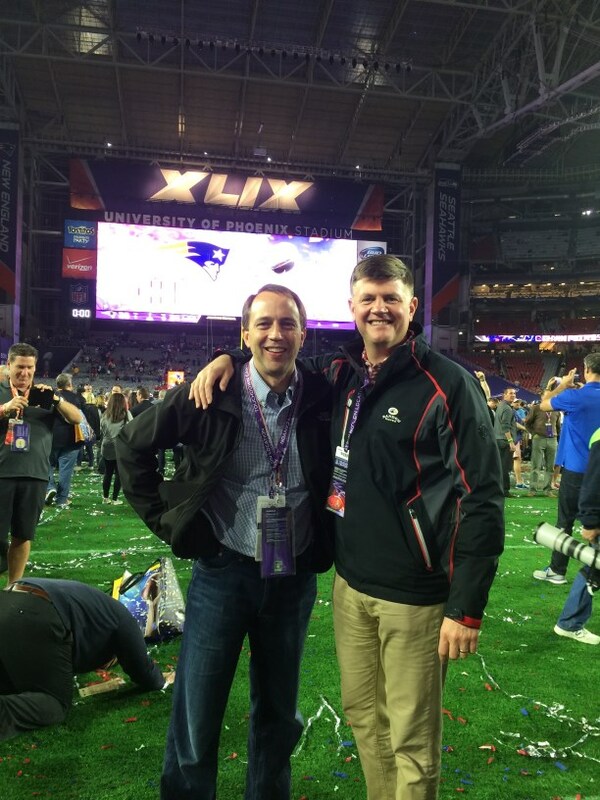 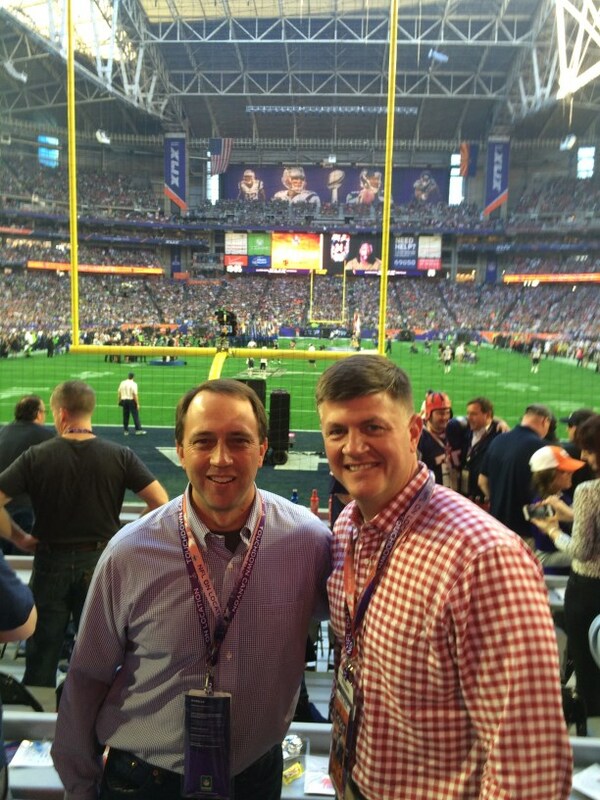 Jeff Harrick (C1) traveled from Charlotte and John Fortson (E4) from Chicago to link up at the Super Bowl a few weeks ago. Jeff says, “We had a blast, and it was a great game to watch live.” Jeff traveled from Charlotte and John from Chicago. Here are a couple of photos from their seats and down on the field after the game.